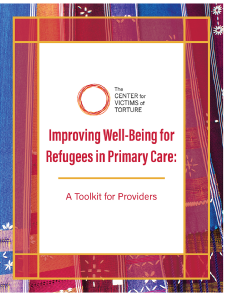 This is a new report published in the journal Ethnicity & Health, “Defining effective care coordination for mental health referrals of refugee populations in the United States,"by Patricia J. Shannon, Gregory A. Vinson, Tonya L. Horn & Evelyn Lennon. Follow the link to the online abstract: full article available for purchase. With the cell phone, tablets, home computers, and the internet social services and health care have undergone radical changes in the last two decades. This webinar will examine ethical and professional practice issues related to this evolution in methods of communication. Use of internet searches on clients, communication via texting, the use of blogs and help sites, friending on social media sites, will be discussed along with things which may require the development of program policies and/or standards. Staff of all disciplines are encouraged to attend. Nonprofit organizations are being challenged as never before to make efficient use of the financial, community and human resources available to them to more effectively serve their clients and expand their community impact. In this measured impact mini-course we examine organizational sustainability through three essential factors: financial stability, partnership development, and staff retention. Very often both survivors of torture and torture treatment programs may benefit from survivors having a greater voice in the work that torture treatment programs do. So what does it mean to truly hear the survivor’s voice in providing services to survivors of torture? What are some of the ways that programs can engage survivors? Our presenters will describe their experiences in creating and developing programs that were started and led by survivors. SPECIAL NOTE: We experienced technical difficulties with the audio during the recording of this webinar. We apologize for any sound quality issues. This lesson introduces HOLISTIC CARE PLANNING (25 minutes). At the end of the eLearning you will have the opportunity to take an Assessment. A score of 80% or better is required to pass the Assessment. Once passed, a Certificate of Completion will be e-mailed to you within seven business days. Define torture using eligibility guidelines established by the Torture Victims Relief Act and US law. Many clients seen by programs that work with survivors of torture experience chronic pain, anxiety, and other symptoms long after their traumatic experience. This two-part mini-course will focus on the role of the mind-body connection in the treatment of survivors of torture in both individual and group settings. In the first session our presenters will provide an outline of concepts and approaches regarding the clinical application of meditation, physical therapy, and yoga with survivors of torturefollowed by a thirty minute question and answer period.